Originally published in Journal of Creation 13, no 2 (November 1999): 118-123. Fifty studies were reviewed of opinions on teaching origins. The vast majority found about 90% of the public desired that both creation and evolution or creation only be taught in the public schools. About 90 % of Americans consider themselves creationists of some form, and about half believe that God created humans in their present form within the past 10,000 years. In America, about 15 % of high school teachers teach both evolution and creation, and close to 20 % of high school science teachers and about 10,000 scientists (including more than 4,000 life scientists) reject both macroevolution and theistic evolution. Although the vast majority of Americans desire both creation and evolution taught in school, the evolutionary naturalism worldview dominates, revealing a major disparity between the population and the ruling élite. Of the total sample, 91 % were creationists of some form, and 44 % (25 % of them college graduates) agreed with the statement that ‘God created man pretty much in his present form . . . within the past 10,000 years.’3 Fully 81 % of those who labelled themselves Evangelicals believed that humans descended from Adam and Eve, compared with 58 % of the non-Evangelical Protestants (Table 1, below). The lowest percent of agreement was among Roman Catholics (only 47 % agreed). Gallup found that close to 50 % of the population rejected both atheistic and theistic evolution, at least of humans. Nelkin, D., Science Textbook Controversies and Politics of Equal Time, The MIT Press, Cambridge, 1977. Laba, E. and Gross, E., Evolution slighted in high school biology, Clearing House 24:396–399, 1950. Milner, R., The Encyclopedia of Evolution, Facts on File, New York, NY, p.100, 1990. Gallup, G. (ed. ), 1993 Gallup Poll Monthly, September 1990, p. 28. Milner, Ref. 3, p. 100. Kurtz, P., Religious Belief in America: A New Pole, Free Inquiry 16(3): 40, 1996. Mackinney, B., Chicago, IL, letter to author dated February 7, 1977. Christensen, H.T. and Cannon, K.L., The fundamentalist emphasis at Brigham Young University: 1935–1973, Journal for the Scientific Study of Religion 17(1):55, 1978. Hunsberger, B., Stability and change during college. Journal for the Scientific Study of Religion 17(2):163, 1978. Spencer, W., Origins Survey Report, Wichita State University, Wichita, KS, 1988. Fuerst, P., University student understanding of evolutionary biology’s place in the creation/evolution controversy, Ohio Journal of Science 84(5):218, 1984. Holland, E., Creation Science: A survey of student attitudes, Ohio State University Quest 7(3):1, 1985. Bergman, J., Teaching About the Creation-Evolution Controversy, Phi Delta Kappa, Educational Foundation, Bloomington, Indiana, 1979. Bergman, J., Public opinions regarding creation and evolution, Origins 7(1): 42–44, 1980. Bergman, J., The attitudes of college students in teacher education programs toward the teaching of evolution and creation, NACM Newsletter No. 22, Monograph, 1981. Eve, R. and Harold F., The Creationist Movement in Modern American, Twayre Pub., Boston, MA, p.166, 1991. Zimmerman, M., The evolution-creation controversy: Opinions of Ohio High School biology teachers, Ohio Journal of Science 87(4):115–125, 1987. Tatina, R., South Dakota High School biology teachers and the teaching of evolution, American Biology Teacher 51(5):275–280, 1989. Stewart, W. (ed. ), Science and Engineering Indicators—1987. U.S. Government Printing Office, Washington, D.C., 1987. Madigan, T. (ed. ), Faith steady among scientists—or is it? Free Inquiry 17(3):6–7, 1997. 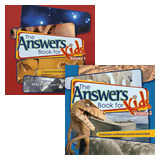 Bland, A., Biology Topics in Introduction Science Courses in Accredited Bible Colleges. Ed.D. Thesis, East Texas State University, 1984. Eve and Harold, Ref. 16, p. 33. Troost, C.J., An Analysis of factors influencing the teaching of evolution in the secondary schools of Indiana, Ed.D. Thesis, Indiana University, 1966. Cornell University, 1983, quoted by Morris, H., That Their Words May Be Used Against Them, Master Books, Green Forrest, AR, p. 384, 1997. Tatina, Ref. 18, p. 276. Tatina, Ref. 18, p. 277. Overman, R. and Deckard S., Origins beliefs among NSTA members, Impact 292:1, 1997. Blank, L. and Andersen, H., Teaching evolution: coming to a classroom near you? National Center for Science Education Reports 17(3):10–13, 1997. Hodgson, R. and Hodgson, S.P., A survey on university students understanding of the place of evolutionary biology in the creation/evolution controversy, Creation-Evolution 34(1):29–37, 1994. Reidinger, P., Creationism and the First Amendment, ABA Journal 1:35, 1987. Vitz, P., Censorship: Evidence of Bias in our Children’s Textbooks, Servant Books, Ann Arbor, MI., 1986. Reapsome, J., Religious values: Reflection of age and education, Christianity Today May 2, p. 23–25, 1980. Hites, R.W., Change in religious attitudes during four years of college, Journal of Social Psychology 66:56, 1965. Associated Press., 76 % for parallel teaching of creation theories, The San Diego Union Nov. 18, p. A15, 1981. Cook, T., Creation Evolution Battles, Citizens for Public Education, Portland Oregon, 1983. Santillanes, V., Leeway for creationism in class nets support: Poll: Many support inclusion of creationism, Albuquerque Journal, Sept. 13, pp. A1, A2, 1996. Eglin, P.G., Creationism versus Evolution: A Study of the opinions of Georgia Teachers, Ph.D. dissertation, Georgia State University, 1983. Buckner, E., Professional and Political Socialization: High School Science Teacher Attitudes on Curriculum Decisions, in the Context of the ‘Scientific’ Creationism Campaign, Ph.D. dissertation, Georgia State University, Ann Arbor, MI: University of Microfilms International, 1983. Ellis, W. Creationism in Kentucky: The response of high school biology teachers, In: Science and Creationism, Ed. by Hanson, R.W., Macmillan, New York, pp. 72–91, 1986. Affannato, F., A Survey of Biology Teachers’ Opinions about the Teaching of Evolutionary Theory and/or the Creation Model in the United States in Public and Private Schools, Ph.D. dissertation, University of Iowa, 1986. Caylor, B. Creation or evolution? The News Sentinel, Jan 2, pp. 1A, 5A–6A, 1997. Blank, and Andersen Ref. 28. Hodgson and Hodgson, Ref. 30, pp. 29–37.